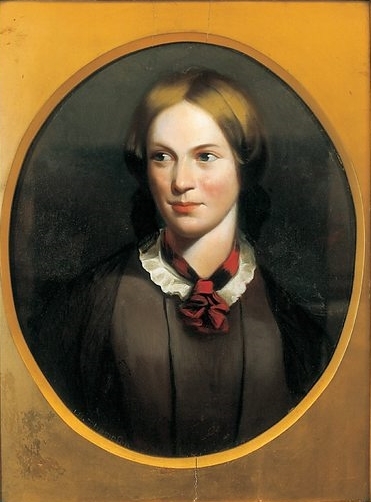 Two very different portraits of Charlotte Bronte exist. George Richmond's (1850) remained hidden from public view but was published as an engraving in 1857. After the death of Charlotte's widower in 1906 the original portrait passed to the National Portrait Gallery. It was first exhibited in 1907 by which time it had become firmly established as the public image of Charlotte. In 1914 it was discovered that Charlotte's widower had hidden away a second portrait. This was an 1830s group portrait of the sisters by their brother Branwell, but Charlotte's appearance in this portrait was very different. Detail from George Richmond's portrait of Charlotte. After the death of her siblings, Charlotte's publisher requested portraits of them but she replied that there were none. There were sketches and watercolours she had made of her sisters, also Branwell's two group portraits, but she probably considered these unworthy of publication. Another influence could have been the well documented fact that Charlotte was very self-conscious about her own appearance. Shortly after this she travelled to London and her publisher George Smith paid for the well-known society artist, George Richmond, to create her now famous portrait. Anne Bronte (left) and Charlotte (right) in the 1830s group 'Pillar Portrait' by their brother, Branwell. When Charlotte first viewed the completed portrait she burst into tears because it reminded her so much of her sister Anne who had died the previous year. Looking at portraits of Anne it is clear why; she had an oval face and a Roman nose. George Smith asked if he could have a copy made for himself, presumably for future publication. "The two portraits have, at length safely arrived, and have been as safely hung up, in the best light and most favourable position. Without flattery the artist, in the portrait of my daughter, has fully proved that the fame which he has acquired has been fairly earned. Without ostentatious display, with admirable tact and delicacy, he has produced a correct likeness, and succeeded in a graphic representation of mind as well as matter, and with only black and white has given prominence and seeming life, and speech, and motion. I may be partial, and perhaps somewhat enthusiastic, in this case, but in looking on the picture, which improves upon acquaintance, as all real works of art do, I fancy I see strong indications of the genius of the author of 'Shirley' and 'Jane Eyre'." The portrait was a generous gift for Charlotte's father and this is a letter thanking George Smith. Charlotte certainly seems to have been delighted with the portrait. When Charlotte died in 1855 there were no published portraits of her or her family in the public domain and when it was suggested that one should be used to illustrate her biography, her widower was opposed to the idea. 1. 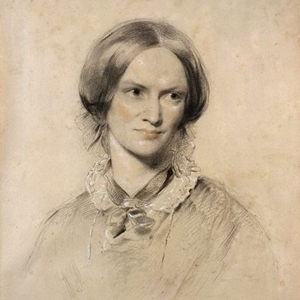 Publication of George Richmond's Portrait of Charlotte Bronte as an engraving. Engraving by Armytage of George Richmond's portrait of Charlotte, 1857. Pressure was applied to Arthur Nicholls and he eventually he relented. Charlotte's portrait was photographed, an engraving was made and it appeared in the biography (1857). Here, Elizabeth Gaskell commented on this portrait and Branwell's group portrait of the sisters. She considered George Richmond's portrait to be "an admirable likeness" but this is ambiguous, it could mean "an admirable resemblance" or "an admirable portrait." When read in context it can only mean the latter because she then states that "those closest to Charlotte" were "least satisfied with the resemblance" before going on to praise Branwell's portrait. She describes Branwell's 'Pillar Portrait' of his sisters as a poor painting but was surprised by "...the striking resemblance which Charlotte ... bore to her own representation, though it must have been ten years and more since the portraits were taken. 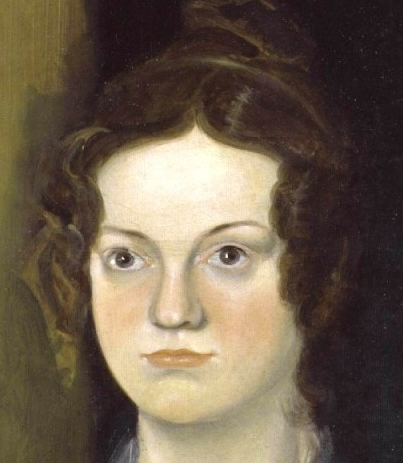 They were good likenesses, however badly executed.” Charlotte would have been standing next to the portrait when Mrs Gaskell viewed it in 1853 and these remarks imply that her appearance had changed very little in twenty years.2. The careful wording is perhaps partly due to Charlotte's widower and the fact that Elizabeth Gaskell's publisher was George Smith, the man who had commissioned the portrait seven years earlier. The pictures could easily depict two different women. If Gaskell was correct then Branwell's oil painting is a poor portrait but the resemblance is good; Richmond's is a good portrait but the resemblance is poor. When Arthur Nicholls Initially withheld permission to publish the portrait, Ellen Nussey, in a letter to Elizabeth Gaskell, wrote that "there would always have been regret for its painful expression to be perpetuated." A friend of Charlotte, Laetitia Wheelwright, thought the portrait was "entirely flattering." Charlotte's close friend, Mary Taylor, criticised the publication of a "flattered likeness" lacking "the veritable square face" and the "large, disproportionate nose." 3. "No one perhaps ever succeeded in that marvellous idealisation of a sitter as George Richmond; he sets before him a man and lo! He makes him a poem, and what is more inexplicable is that rare genius of his...there is no want of truthfulness to nature. I don't know nor do I care whether he copies the features - between ourselves I don't believe he does - but what of that? 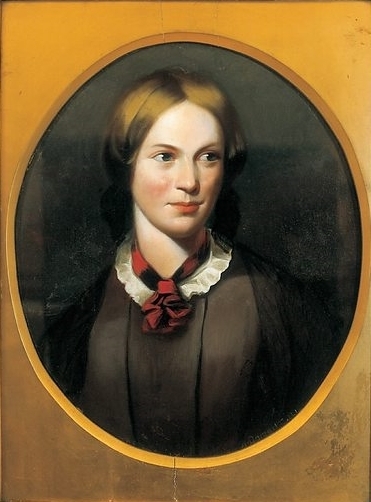 He gives you the mind, character, the inner-self of his sitter, and always with a facile grace, which while it transfigures the subject, still faithfully reproduces him... An example of this can be seen in the pleasing portrait of Charlotte Bronte which he drew... with the bright eyes and charming expression illuminating features that would otherwise have been plain." 4. "You know I quite agree with the Daily News about the portrait. in fact, I don't consider it a portrait at all, but merely a pleasant fancy of me by George Richmond." George Richmond painted "the truth, lovingly told" but Branwell Bronte tried to achieve a true likeness. The engraving by J C Armytage (1857). It is clear by the comments made by Charlotte's friends that her portrait by George Richmond is idealised and this is why it has not been used to compare with 'Charlotte' in the photograph. There are many variations of the portrait but the first was the engraving by Armytage (1857) for Smith, Elder. John Hunter Thompson's portrait of Charlotte. Charlotte's vibrant portrait by John Hunter Thompson is based on the engraving by Armytage (there is a faint horizon line which does not exist in the original). Thompson may have worked from a collodion photograph of the engraving as these were usually reversed images; Charlotte's slightly crooked mouth turns down on the wrong side and her hair is parted on the wrong side. 1. George Richmond was interested in physiognomy, as was Charlotte. In this extract from The Professor (a novel based upon Charlotte's experiences in Brussels) she describes Frances Evans Henri: "You cannot tell whether her nose was aquiline or retrousse, whether her chin was long or short, her face square or oval; nor could I the first day, and it is not my intention to communicate to you at once a knowledge I myself gained by little and little." Charlotte describing Frances Evans Henri in chapter 14 of The Professor (written in 1846 but unpublished; edited & published posthumously in 1857).